Need an NTO Orlando? The Notice Zone is your local company. The Notice Zone NTO (Notice to Owner) service has an office in Orlando, Florida, for all your NTO Orlando needs. 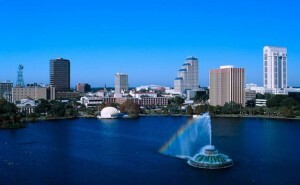 Serving all of Florida, our Orlando office is a location central to the some of the busiest construction in Florida. The construction industry in Orlando and all of Florida is on the upswing – single and multifamily homes are being built, and commercial and industrial construction projects are popping up everywhere. At the Notice Zone, we strive to make your job easy. We want to provide the best and fastest Notice to Owner service in Orlando and all of Florida, including the major metropolitan areas of Miami, Jacksonville, Tallahassee, Tampa, and everywhere in between. Since construction laws vary from state to state, using an construction notice company that is located within your state is a wise choice. The Notice Zone ONLY works in Florida – we specialize in Florida Lien Law and Florida Construction Notices. We have access to property records not only in Orlando, but throughout the entire state of Florida, and we are committed to fully researching your NTOs so you are assured that all parties receive notification that you are working on a project, as required by Florida statute. Don’t forget to file an NTO on EVERY job where you are not working directly with the owner (in contract with the owner.) Don’t know if you are working for the owner? CALL US AND WE WILL CHECK THE PROPERTY RECORDS FOR YOU FREE OF CHARGE, so you can be assured that you are working for the owner and not a renter, lessee, or other party. You have 45 days from your FIRST DAY ON THE JOB to get your notice to the proper party. DON’T WAIT UNTIL YOU HAVEN’T BEEN PAID TO SEND YOUR NOTICE – BY THEN IT MAY BE TOO LATE. We receive calls every day from subcontractors in Florida who have waited too long and have lost their right to lien because they are past the strict 45 day time limit. WE NEVER CHARGE RUSH FEES – IF YOU ARE CLOSE TO YOUR 45 DAY TIME LIMIT FOR SERVING YOUR NOTICE, WE WORK HARD TO COMPLETE AND MAIL YOUR NOTICE AS QUICKLY AS POSSIBLE. Call us today at (407)399-8997 or email us at info@thenoticezone.com. Let us know how we can help you. Click here to go to our online Notice to Owner Request form. Once you submit it, we will contact you to let you know we have begun to research your notice. We would love to earn your business, whether you are in Orlando or anywhere else in the beautiful state of Florida.